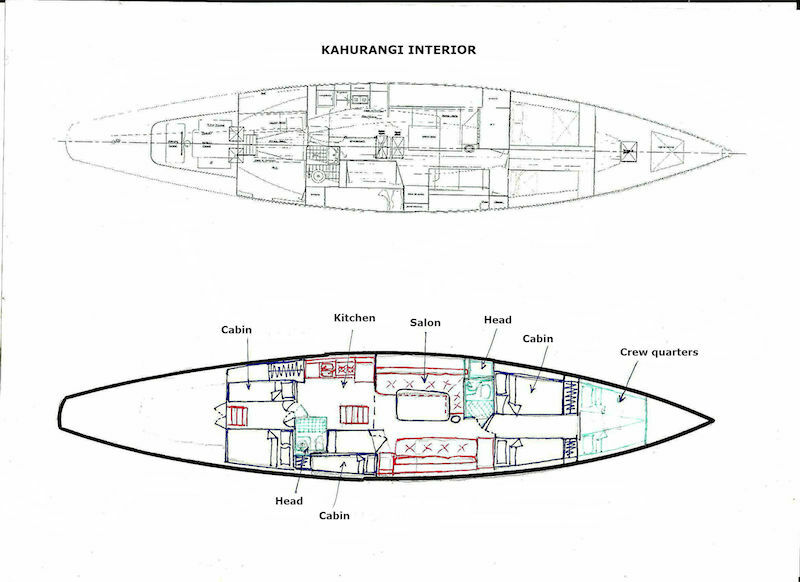 The 12metre Cruiser Racer Yacht Kahurangi is a design by yacht designer Arthur Robb. 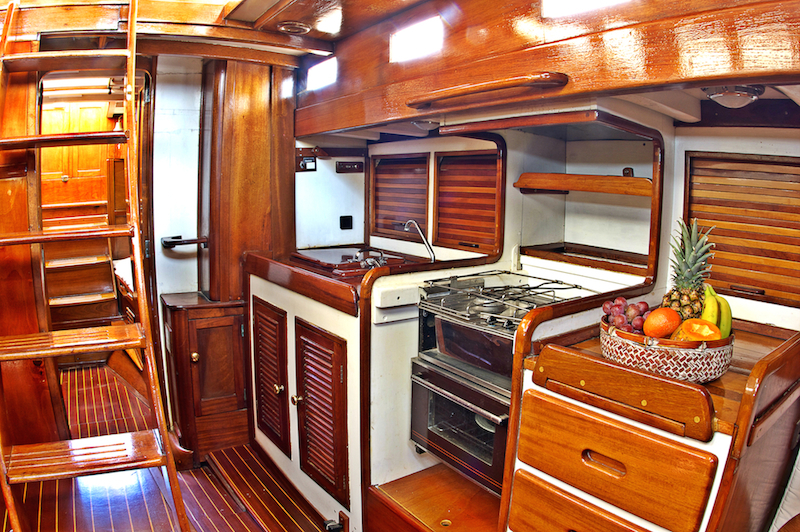 She was the flagship of the New Zealand Yacht Clubs New Zealand Yacht Squadron. Kahurangi won numerous races in their class. 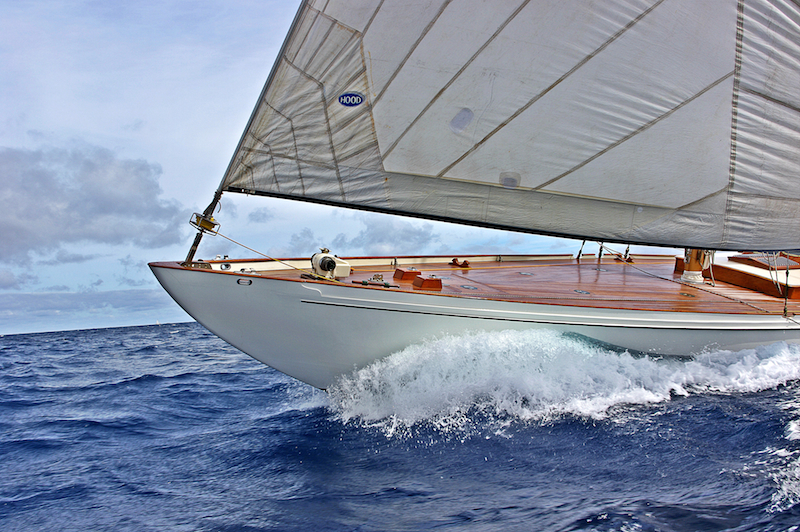 The yacht participated in a offshore regattas such as the Sydney - Hobart race in 1967 and achieved third place. 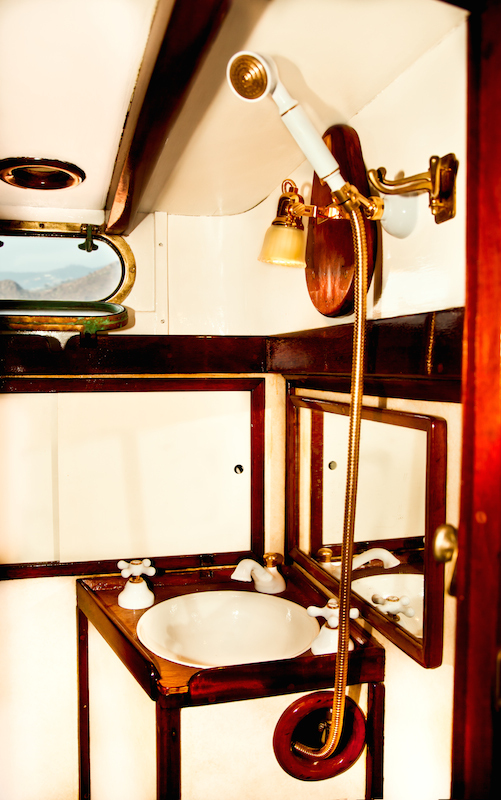 Classic Yacht Kahurangi is available in the summer season from May to October at the Mediterranean. Region of Balearic Islands, Côte d'Azur and Corsica & Sardinia. 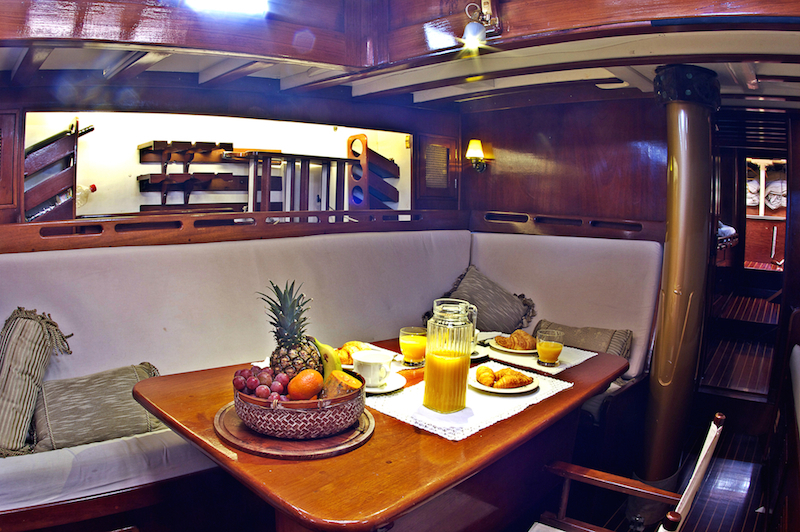 She can be booked for week charter and regatta sailing, also available for day charter at the Balearic Islands. 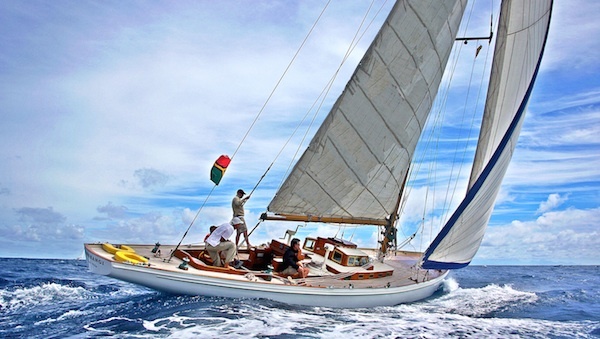 In the winter season, from end of October to early May the yacht sails in the Canaries and is available here for week charter or day charter. 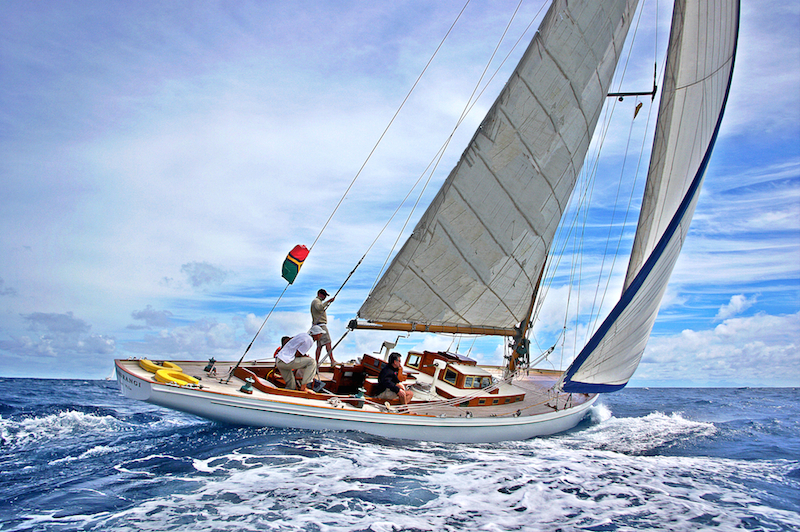 Classic Yacht Kahurangi is available around the Balearic Islands for day, midweek or week charter from mid-May. 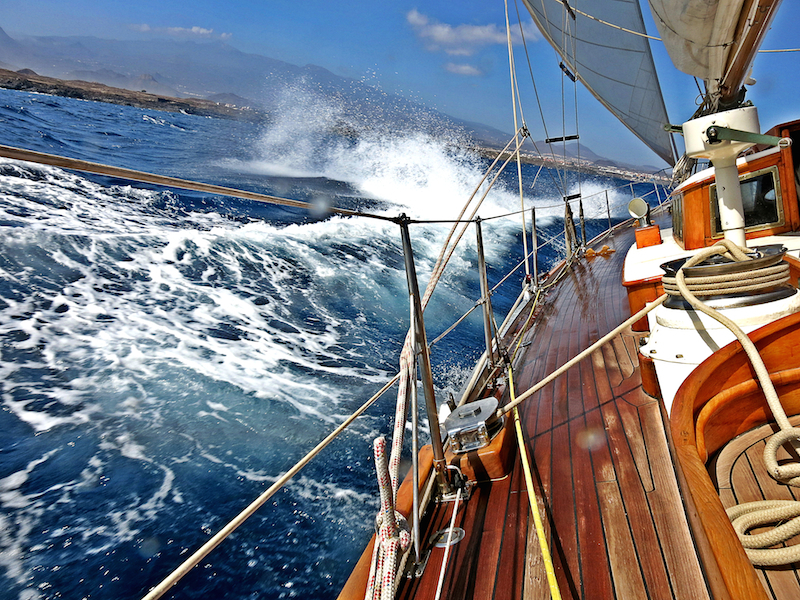 Winter season from October the yacht sails in the Canaries. 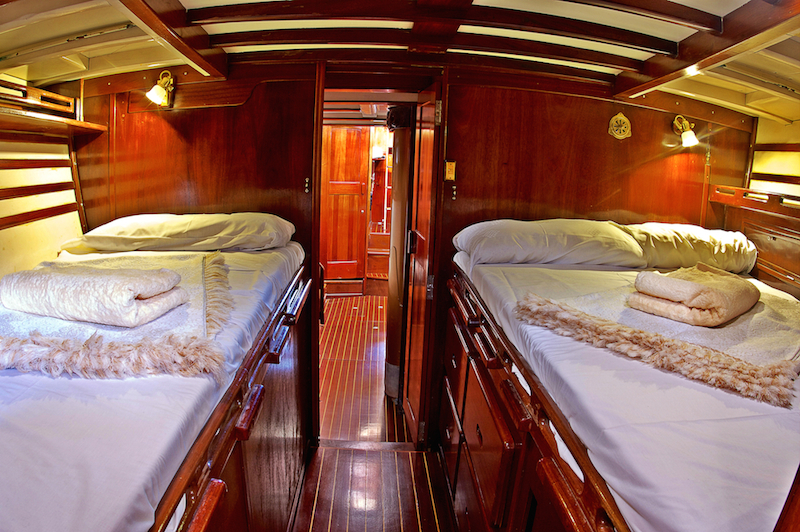 Maximum can be accommodated 5 persons in 3 cabins. Up to 7 persons plus 2 people in the salon. 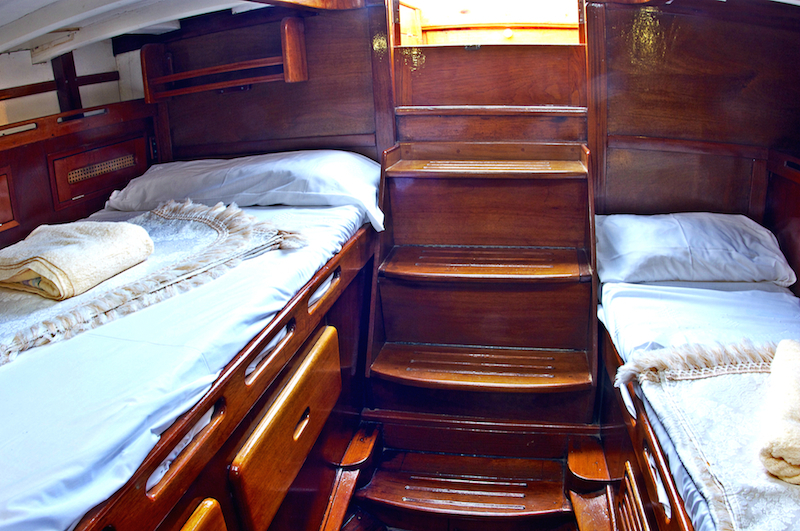 The crew cabin is in the bow separately. 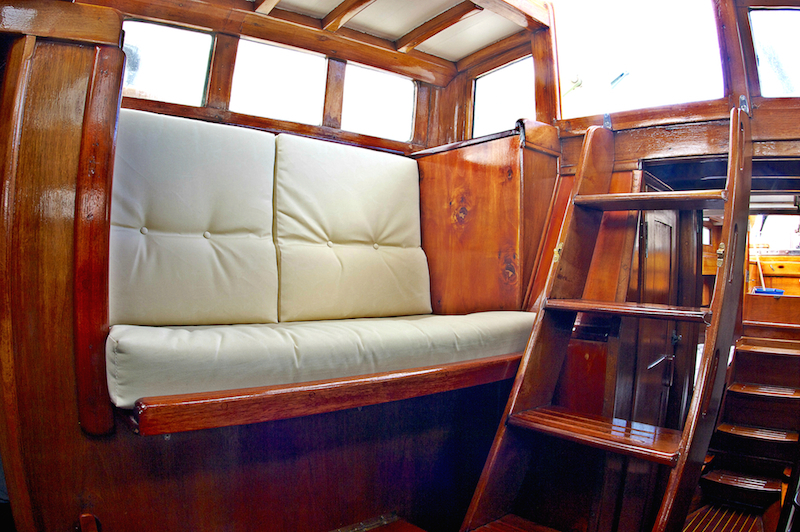 Interested in Classic Yacht Kahurangi?